Is the leading monthly information source for offshore oil and gas operations and deep offshore markets. You may receive renewal reminders and other correspondence from Offshore magazine via email. If you do not want to receive correspondence from other PennWell publications and conferences, please check here. You may receive subscription renewal notices via email. If you do not want to receive other business related third-party offers, please check here. 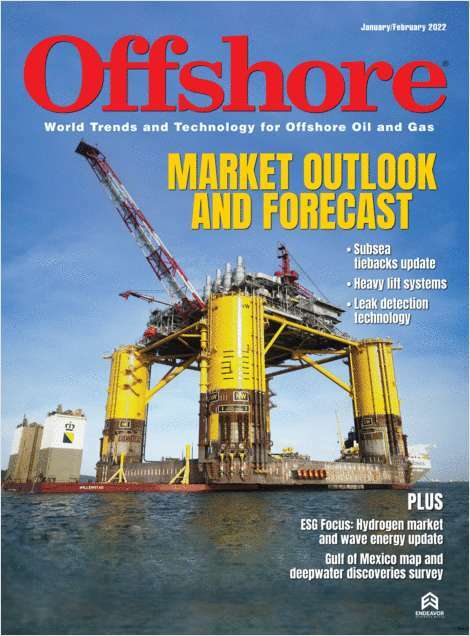 Do you wish to receive a FREE subscription to Offshore? What format would you prefer to receive your copy of Offshore?